If you haven’t met Libby yet, do it now! 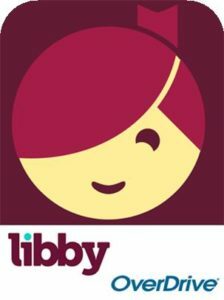 Libby is the best reading app for ebooks and audiobooks! Titles are automatically returned to the library when the book reaches its due date. However, for speed readers/listeners, who tend to finish books prior to when the book is due, there is an option to return the book when you actually finish the book. NOTE: If you’ve downloaded a title to the OverDrive app (mobile or desktop), to Adobe Digital Editions (ADE), or as a Kindle Book, you won’t be able to return it from Libby. However, you can return it from the application you used to download the title (the OverDrive app or ADE) or from Amazon (if you downloaded it as a Kindle Book). Your total book progress is visible in the lower right hand corner of Libby displaying the chapter & page numbers (ex: Chapter 12/20 of 651). If you tap the page number label once the numbers will switch to reveal how many pages are left in the current chapter. By tapping the label a second time your total book progress will be shown as a percentage. In the audiobook player, the total time left in the audiobook is displayed in the lower right hand corner of Libby by default. By tapping the “Time Left label” (above the timeline) you can cycle through different time displays: total time elapsed in the audiobook, time left in current chapter, and total progress as a percentage. There is no greater joy than receiving the notification “the book you had on hold has been added to your bookshelf”. Text Scale: Text size can be adjusted by using a scale. By sliding the black square to the left or right you can adjust the font size of the book you are reading. If you slide the swuare to the left, your text will decrease in size and to the right your text will increase. Lighting: There are three lighting options – Bright, Sepia, and Dark. Custom: This option allows you to select a font (Palatino, Georgia, Old style, Cochin, Serif, or Sans Serif. ), adjust your justification (Left or justified), select a line spacing (1.0, 1.5., or 2.0), and lastly choose a weight for the text (Normal or Heavy). There you have it, Four FAQ’s about Libby answered! For more answers visit the help page here: Meet Libby.